A mammogram is imaging of the breasts using low-dose x-rays. It is the only form of diagnostic imaging proven to save lives by finding cancers early and thereby reducing deaths from breast cancer. Technology is always advancing, and that’s also true in health care. In mammography, it has led to a whole new dimension to improve our ability to detect breast cancer. The traditional two-dimensional (2D) mammogram took single x-rays at two different angles. The three-dimensional (3D) technology gives us a new way to view the images. Rather than taking a single picture in each projection like a 2D mammogram, it rotates in an arc and takes x-rays of the breast at different angles. These images then create a more detailed, 3D view of the breast, which gives a radiologist a clearer picture of the breast tissue. Not only can this help identify what is normal tissue versus a true finding, it can also help detect more cancers than a routine 2D mammogram. More cancers detected: The purpose of mammograms is to save lives from breast cancer. Mammography in 3D provide clearer images, which help pick up more cancers, even when they are very small. A 3D mammogram is always twice the radiation dose of a 2D mammogram. FALSE: With the latest technology offered at Lifespan Medical Imaging locations at the Anne C. Pappas Center for Breast Imaging at Rhode Island Hospital, the newly relocated center on West River Street in Providence, and at Newport Hospital, the radiation dose from a 3D mammogram is essentially the same as that of a 2D mammogram. 3D mammograms take longer. FALSE: it takes the same amount of time as a 2D mammogram, but with better images for the radiologist. Only certain women should have 3D mammograms. FALSE: The benefits of 3D mammograms include better cancer detection and fewer false positives. 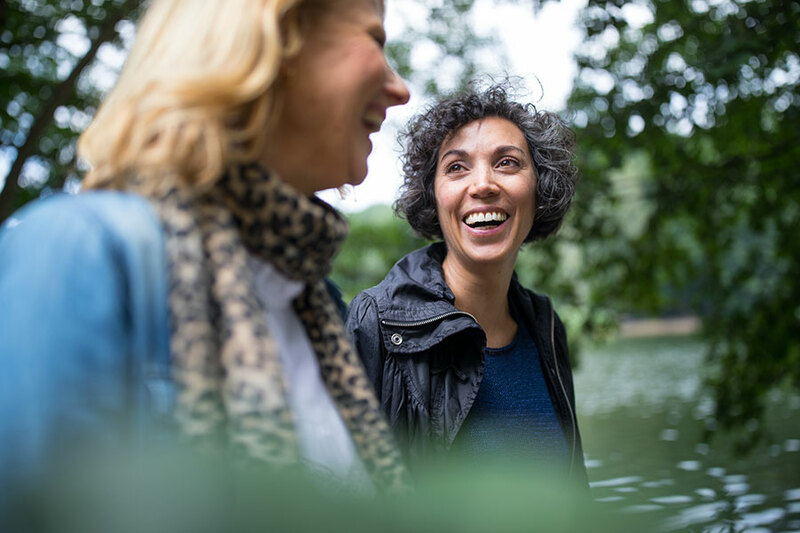 These benefits have been proven in patients of all breast density types, so all patients are encouraged to choose this new and improved technology if it is an option. Mammograms can be uncomfortable for women. Much of that has to do with the compression that is required to get the best quality of images possible. This helps the radiologist see the breast tissue better and detect abnormalities. There is no difference in compression between the 2D and 3D mammogram, and the compression also lowers the amount of radiation you are exposed to during the exam. The screening recommendations are the same no matter what type of mammogram you are having. Start getting screening mammograms at age 40, then getting a screening mammogram every year saves the most lives. One in six breast cancers occur in patients in their 40s. There’s been an almost 40 percent reduction in breast cancer related deaths since screening mammograms became widespread in the U.S. in 1990. About 75 percent of women who are diagnosed with breast cancer do not have a family history. So, get a screening mammogram even if you don’t have a family history of breast cancer. There is no set upper age limit on when to stop screening. Talk to your doctor about the best time to stop for you beyond age 75-80. At the Anne C. Pappas Center for Breast Imaging at Rhode Island Hospital, 3D screening mammograms have been routinely performed on all patients since 2012. Several studies on 3D mammography have been performed at the Pappas Center and have added to the depth of knowledge in this field, proving the benefits of 3D mammography. Here, your mammogram is read by a breast imaging specialist who has extra training and experience in the field. The bottom line, ladies, is at the end of the day, whether you choose a 2D or a 3D mammogram for breast cancer screening, remember to get your mammogram done every year once you’re age 40! Lifespan offers the more detailed 3D screening mammogram at several locations. Learn more on our website. Dr. Shruthi Ram is a radiologist in diagnostic imaging at Rhode Island Hospital and The Miriam Hospital, specializing in women's imaging.